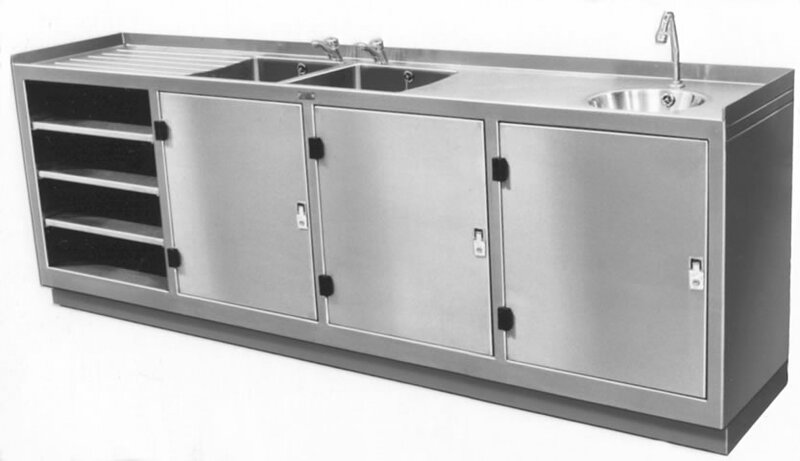 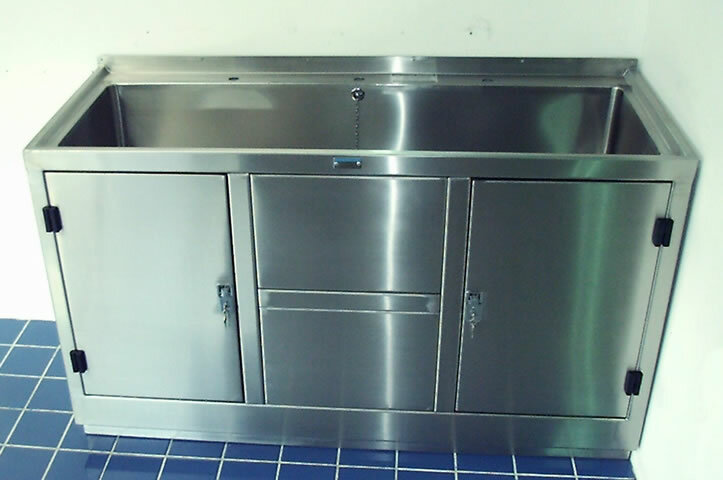 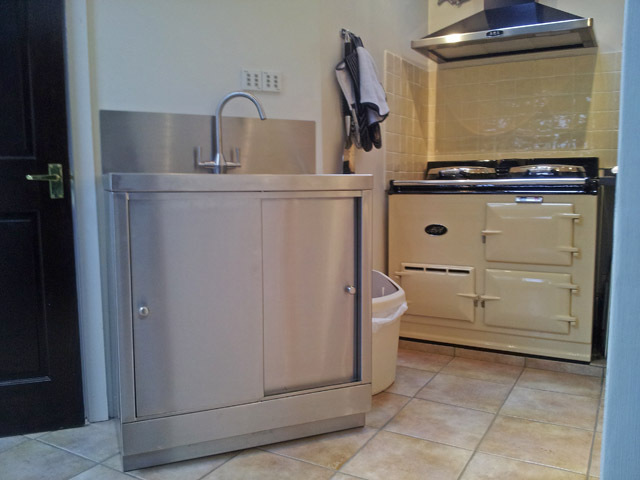 SDS heavy duty catering sink and cupboard units are manufactured from 1.5mm thick 304 grade stainless steel throughout. 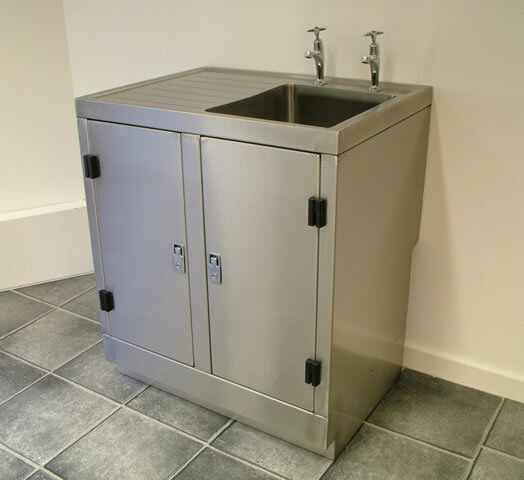 All standard units are manufactured in one piece with no on site assembly required, and are supplied with 2 tap holes at 180mm centres behind each bowl, 38mm (1½"BSP) waste/overflow fittings, hinged lockable doors incorporating high quality lift and turn locks, an internal shelf and side panels (the backs of the units are left open for service entry). 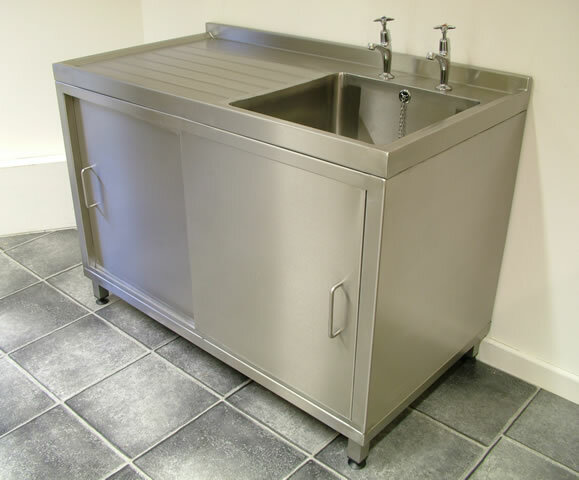 Standard sizes are available for delivery in about 15 working days from order with free packing and carriage to the UK Mainland. 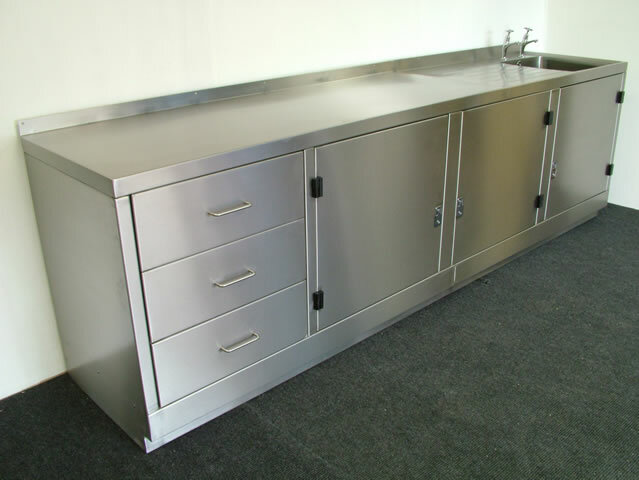 Non standard sizes and configurations are also available, delivery time for these is about 15 to 20 working days.